"Dillard's Inc. 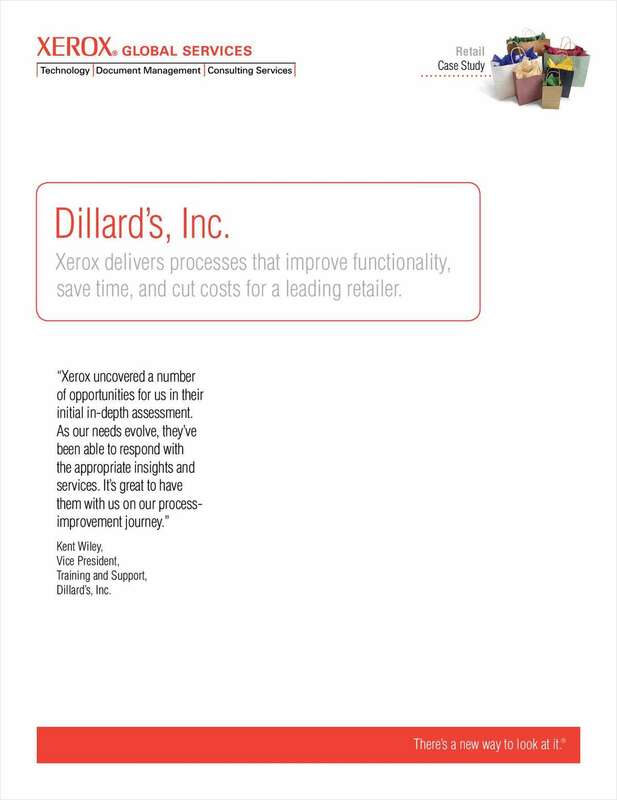 Uses Xerox Office Document Assessment"
Free Case Study: "Dillard's Inc. Uses Xerox Office Document Assessment"
Learn how your business can save substantial time and money while increasing accuracy and efficiencies.